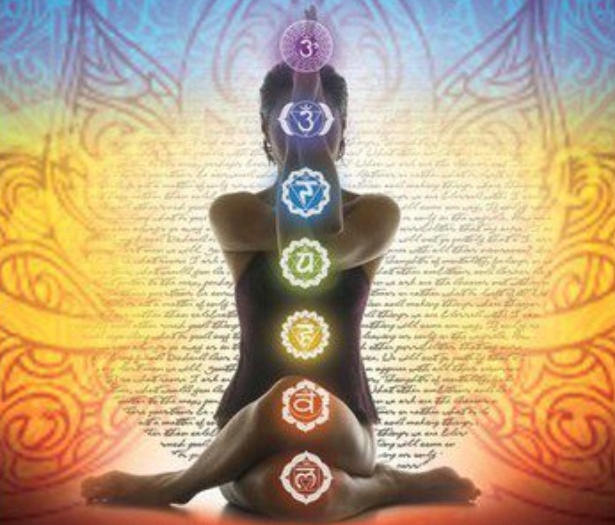 The chakras, wheels of swirling energy in the subtle body, have become a bit of a buzzword in the yoga world. These seven energy centres have inspired jewelry, art, yoga classes, and music. But what are they? And how do they apply to your body + health? In this series, we will delve into the seven main chakras of the energetic body, one at a time, to bring you to a deeper understanding of your energetic body. Through awareness, meditation, and exercises this ancient Tantric yogic wisdom can be used, in conjunction with your yoga practice, to recognize and work through blockages within the body. The release of these blocks encourages a sweet flow of energy that promotes holistic physical and mental health. We begin at the root of it all with Muladhara, the root chakra. This wheel of swirling red energy is located at the base of the spine, is connected to the earth element, and deals psychologically with survival and our physical identity. "The mighty oak was once just a nut that stood its ground." When working with the root chakra, we work with grounding principles, growing strong roots and connecting with the earth. Psychologically, this chakra develops early on in our lives (from the 2nd trimester in the womb to 2-3 years old) and the deals with security, the connection to your tribe/family. Its basic right is be to here and to have. Its main issue/block is fear. In the physical body, Muladhara deals with the lower extremities of the body. On the mat, we offer grounding into the lower body, connecting into the legs and feet. You must first ground to begin on your path of growth. It is only with strong roots that we can rise up energetically towards the divinity of the higher chakras. *When practicing these poses, focus on grounding through all four corners of your feet. Visualize root growing downwards into the earth. **For best results, practice these poses outside, barefoot, to truly connect with the earth element. "The earth supports me and meets my needs." "It is safe for me to be here." "I love my body and trust its wisdom." Rachelle Taylor is a love warrior born and raised in the heart of Canada. This gypsy spirit searched far and wide for inspiration, beauty and bliss around the globe only to return home to Winnipeg where she created Prairie Yogi Inc. + Prairie Love Festival as expressions of her love for yoga, epic experiences, and community. A vinyasa yoga instructor (200 RYT), eternal student, rookie meditator, and inspirational speaker on the topic of living your passion, Rachelle brings her enthusiasm, light and authenticity to her vinyasa yoga teachings. The chakra flow given in this blog was really amazing. It was informative. Thanks for sharing.